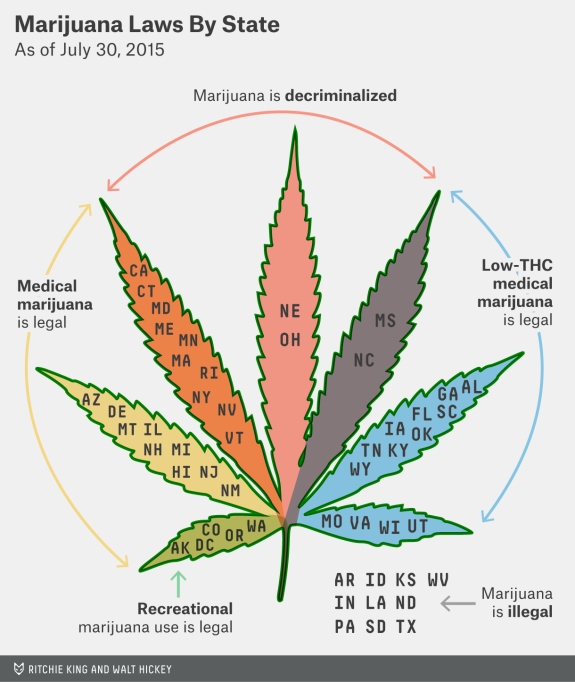 Critical thinking question: Are the drug-policy preferences of the “median voter” in Texas different from those of the median voter in Colorado, or are these legal/policy differences the result of some failure of the political process in those States where marijuana is still illegal? This entry was posted in Current Affairs, Law. Bookmark the permalink.